Start dinner from work. How smart appliances keep getting smarter. Preheat your oven from the road. Make more ice just by tapping your phone. Turn on your bedroom air conditioner from downstairs. How smart technology is changing the way we live. Orange you glad you didn’t run out of eggs because you bought this new smart refrigerator? 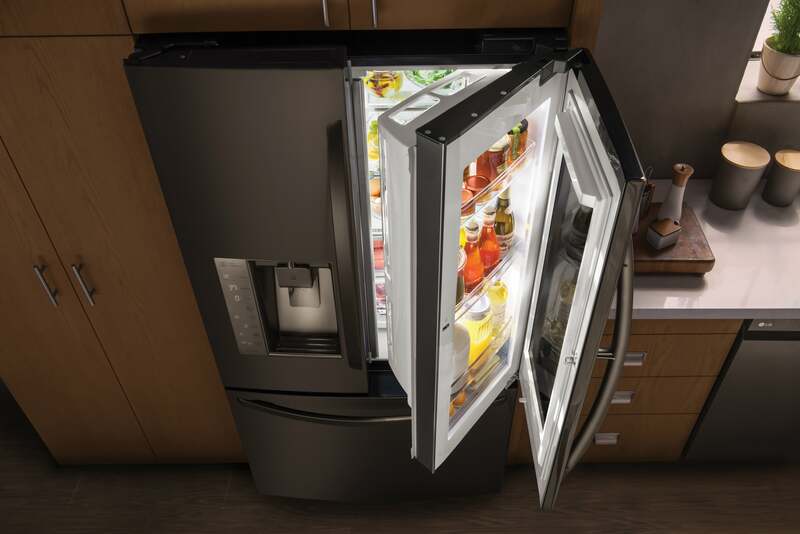 If you knock twice on the big front window of the new LG Smart InstaView refrigerator, the solid window changes to translucent, allowing you to instantly look inside without opening it and wasting energy. Did you forget what’s in your chicken cacciatore recipe? Call it up on the screen right on the refrigerator door. Think you’re running low on milk and yogurt? Or you’re not sure if the milk you do have is expired? No problem. Just ask Google Assistant. Or Amazon’s Alexa. No longer do you have to be a slave to the mundane chores of daily life — cooking, cleaning, washing, drying, and vacuuming. New appliances today can be controlled from work, from the road, from the gym, or from another room in the house, all with a tap, a spoken word or two, or the push of a button. And no company has embraced the 20,000 tasks that Alexa is capable of performing more than the South Korean-tech giant LG Electronics. 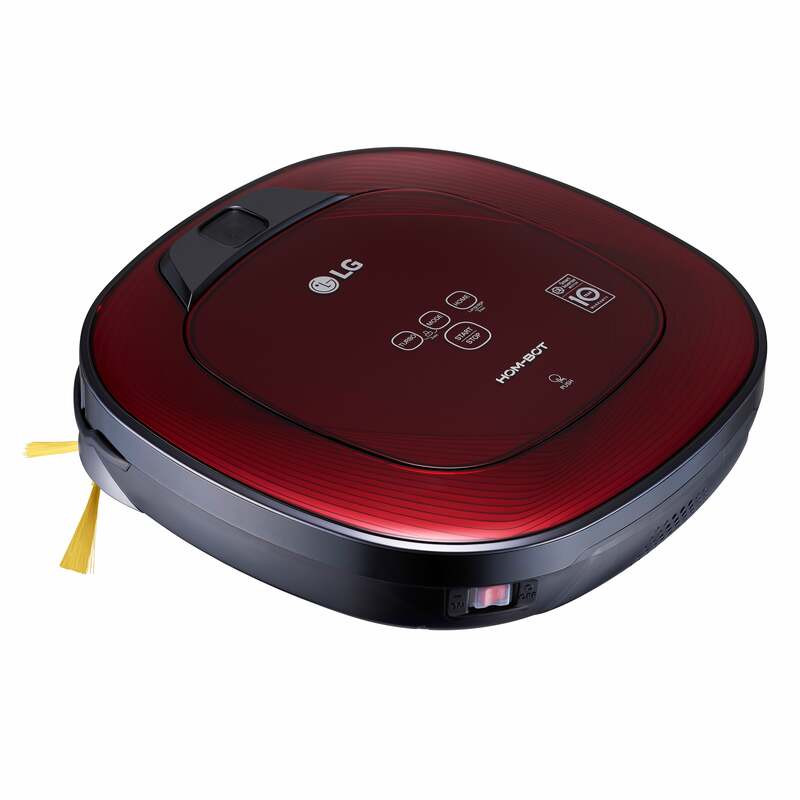 Not only is it integrating Google Assistant and Alexa, along with its own SmartThinQ technology, into robot vacuum cleaners, washers and dryers, air conditioners, ovens, and more, it’s even offering a free Google Home assistant for anyone who buys a wi-fi enabled LG appliance. As for that LG refrigerator, it can track what you need, what’s expired, and it lets you easily build your grocery list just by peering inside the fridge through the door. 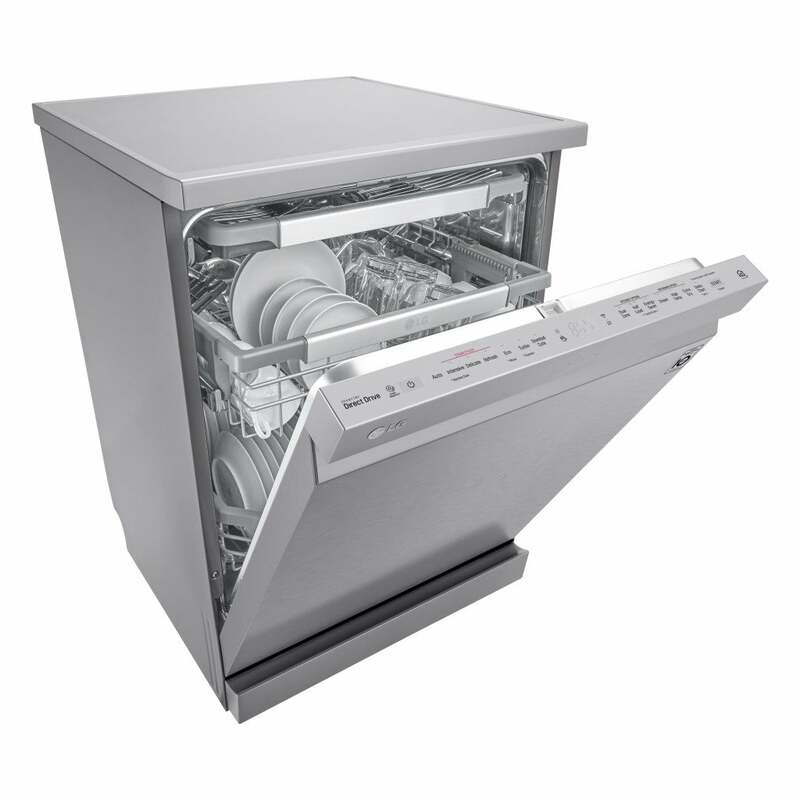 LG’s dishwasher connects to your WiFi to let you know when the dishes are done. From the moment you wake up until the moment you doze off, the daily stressors of life no longer have to be so, well, stressful. Did I set the thermostat to turn down to 60 degrees at 8 a.m. and warm up at 5 p.m.? Did we run out of orange juice? Did I close the garage door? Turn off the stove? Oh, shoot, we have company tonight! Did I vacuum the family room? Smart home technology is there now for anyone who wants it. And if industry analysts are accurate, a lot of us want it. The group IHS Markit says 80 million smart home devices were delivered worldwide in 2016, from thermostats to Google Homes, a 64 percent jump over 2015. And that number is expected to keep climbing this year. The list of smart products today ranges from refrigerators and dishwashers, to air-conditioners and thermostats, to garage doors and lights, to vacuum cleaners, televisions, washing machines and security systems. It’s hard to name a device or appliance that can’t be connected to the internet and controlled remotely with a smart speaker or cell phone. 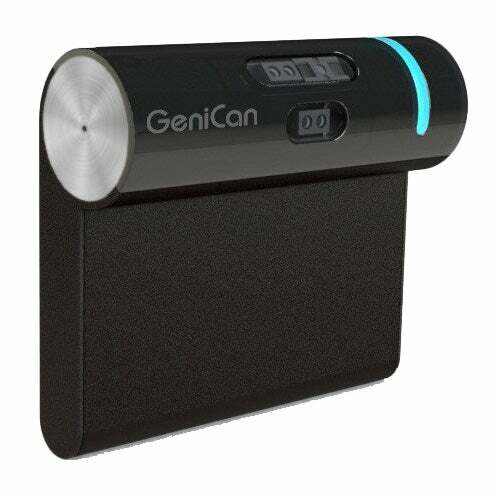 When something runs out, from the kitchen or any room in the house, from paper towels to milk to AAA batteries, and it’s time to toss the container, the GeniCan inside of your garbage can help you remember what needs replacing. GeniCan knows what you’re running low on. And is keeping a list, too. Just before you throw an item out, swipe the barcode on the GeniCan reader. Everything you scan there gets added to the GeniCan app on your phone. And don’t worry if there’s no barcode. Just hold the item in front of GeniCan, and when it asks you what you want to add to your list, just tell it. And is any chore worse than taking the trash out at night, when skunks and raccoons come out to play? A new Floodlight Cam from Ring won’t just bathe your backyard in bright light at the first sign of motion, it sends alerts to your phone if you’re not home, and it lets you turn it on and off through your mobile device. Speaking of trash, if you’re still vacuuming your house and wrestling with a cord that’s constantly getting caught by your foot or twisted by the machine, those days are numbered. Today one in every three vacuum cleaners sold is cordless and that market is growing fast. And not only are more vacuums cordless, and more powerful than ever, they are increasingly remote-control robots. Forgot to vacuum? Control the HomBot Turbo+ from an app. Now just do all your cleaning while you’re at work or running errands. LG’s HomBot Turbo+ will, at the push of an app, pull out of its charging station, clean the requested rooms, tell you how much battery life it has, and return to its charging station. And with four cameras — two in front, two in back — it’s a vacuum and guard dog all at once. It will alert you if it detects any movement while you’re not home. Oh, and if you don’t mind pushing around a vacuum, but you hate pushing around your lawn mower, you’re going to be covered there, soon. Predicting football might be hard. But analysts say with confidence that in five years, the big challenge for consumers won’t be finding a smart appliance that can be controlled remotely. The big challenge will be trying to find an appliance that can’t be controlled remotely.